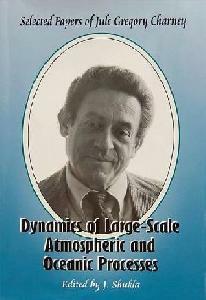 This volume contains a selection of the papers of Jule Charney, one of the foremost meteorologists of this century. The papers chosen reproduce Charney's fundamental contribution to the study of atmospheric and ocean dynamics and are the foundation for modern-day computer models of weather prediction. An additional feature is a collection of reminiscences from Charney's graduate students. A section on Charney's Last Decade is also incuded. This volume is suitable for all graduate students in meteorology and oceanography, and a large number of graduate students in related fields, such as geophysical fluid dynamics. It is also a necessary addition to the libraries of researchers and faculty members in dynamic meteorology and oceanography, ocean/atmosphere dynamics, and climate modeling.